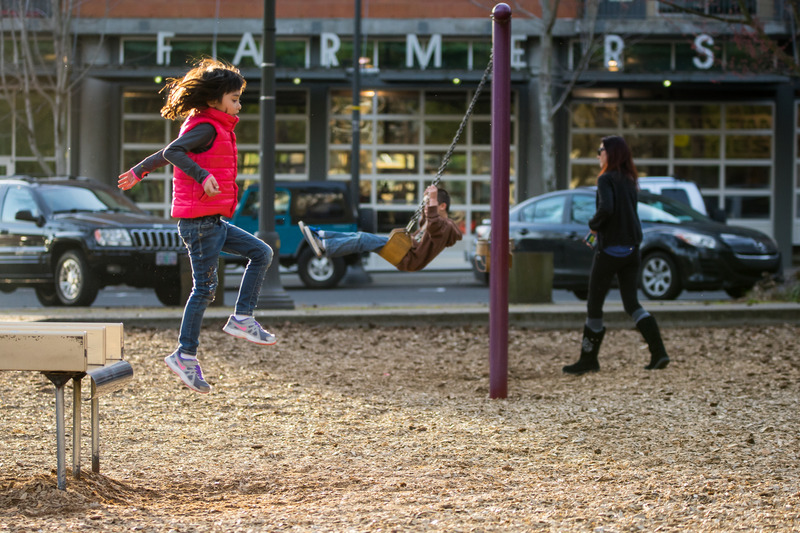 Urban parks and trails offer a natural escape, a recreational play space, and an explorative window into Vancouver USA. With 90 parks and 20 natural areas, you don’t have to go far to get in your morning walk or afternoon bike ride. For waterfront views and a multi-use paved path, head toward the Columbia River to find Marine Park. The five-mile Columbia River Waterfront Renaissance Trail connects Marine Park to Waterfront Park and downtown Vancouver’s bustling scene. Other paths for walking, running, and biking include Burnt Bridge Creek Trail, Salmon Creek Greenway Trail, and the Cougar Trails located at Washington State University’s Vancouver campus. If you are hoping to break in your new swim trunks, go west to Vancouver Lake Park or Frenchman’s Bar Park, which are connected by a two and a half mile trail. Volleyball, picnic tables, and sandy beaches make for a perfect afternoon in the sunshine. Klineline Pond at Salmon Creek Park is also a great spot to take the kids for fishing and splashing in the water. Don’t leave the pups at home! Vancouver USA has several dog parks for your furry friend to get some fresh air and meet new friends. If you’d like to get out of town a bit, travel about 20 miles northeast to Lewisville Park or 15 miles east to Lacamas Lake Park—both offering expansive spaces for exploring, water activities, and picnicking. The Captain William Clark Park at Cottonwood Beach in Washougal is one of the great family-friendly parks on the Columbia River. In 1806, Meriwether Lewis and William Clark established camp as they secured provisions for their return trip through the Columbia River Gorge. Today the park features multi-use trails, restrooms, historic interpretive elements, and of course, the beach. Find more information about parks and trails on the City of Vancouver’s Parks & Recreation website. If you’re ready to stretch your legs beyond the boundaries of the city, hiking trails will take you to new heights and offer panoramic views of areas nearby.